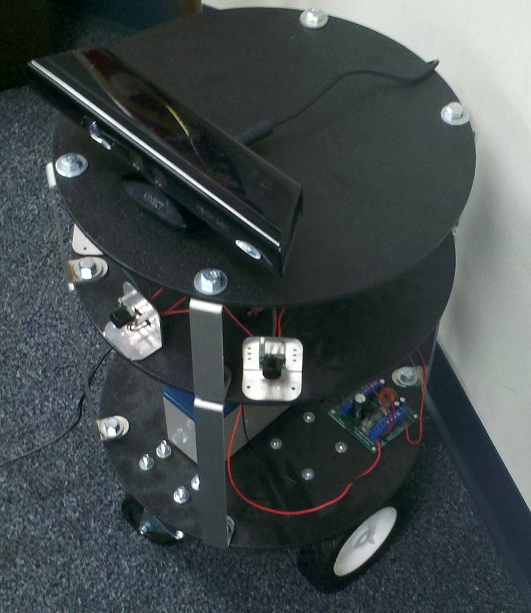 The Kinect Sensor is one of the best additions that can be made to an indoor robot. It includes not only a camera, but the ability to detemine range, an accelerometer and a directional microphone. 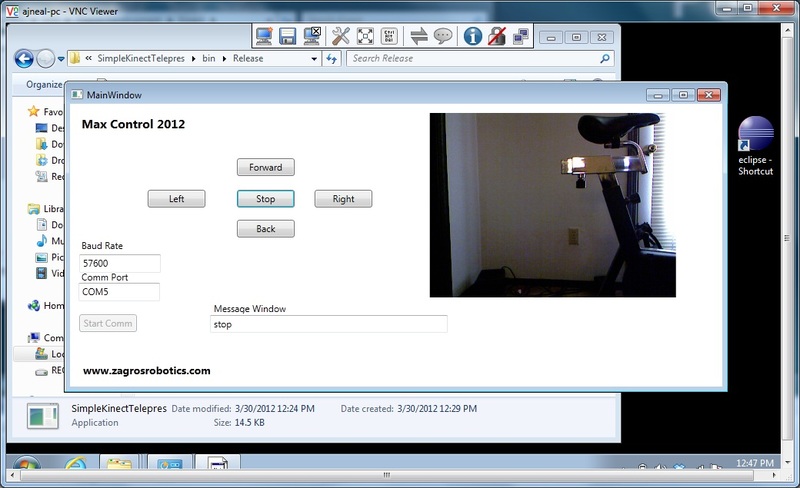 This example c# application demonstrates how to use a Microsoft Kinect as the camera for a simple telepresence robot. First, you must connect the Kinect to the laptop that will ride on the robot and a power source in addtion to the USB port. The USB port will not provide enough power to drive the Kinect. You will get an error message until the external power supply is connected. The Kinect sensor should come with a wall plug/USB cable. The cable coming directly out of the Kinect will not plug into a standard USB port. If you purchased a used Kinect and it did not come with this cable, they can be purchased separately. 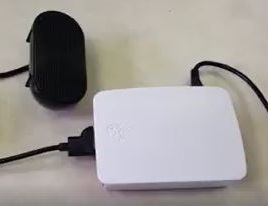 During development, you may want to plug the Kinect power supply into a wall outlet, but as some point you will probably want your robot to roam free. The plug can be snipped and the two wires (red and black) connected to the require 12vdc. It is a good idea to use a regulated power supply if you are concerned that your robot power will exceed 12vdc. Note, that allowing your laptop to ride on a mobile robot is usuallly a bad idea and you do so at your own risk! Hacking your Kinect is also a bad idea and could result in damage to the unit or computer. Next, you must locate and select the serial port the robot controller is connected to. The baud rate can also be adjusted. The hooks to make other serial parameter adjustments are commented out in the source code if required. 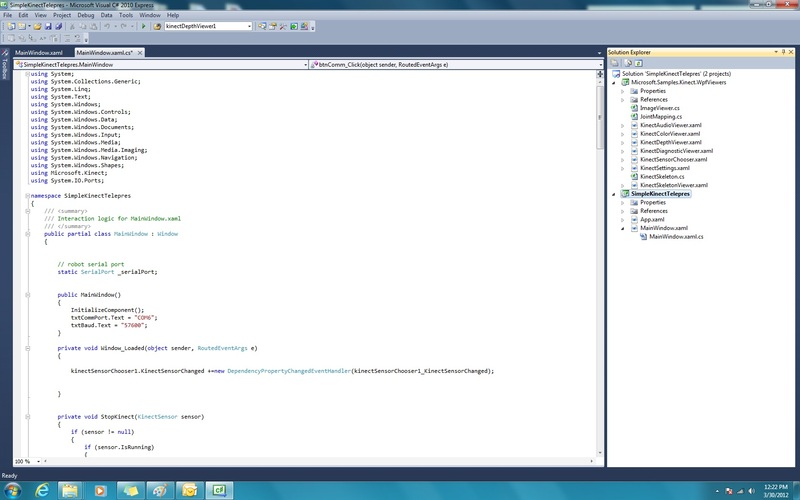 Once you have a copy of the c# application running on your laptop, you can use VNC (or another remote desk top program) to control the robot remotely from a second computer.